The driver floored the accelerator of the five-year-old green Mustang. The overweight man, sporting aviator-style eyeglasses below a receding hairline, was in a gut wrenching, dry-mouthed, sweaty-palmed, and heart pounding panic. His attractive redheaded wife sat in the passenger seats, holding Dusty, the family cat, on her lap. Having just undergone an operation, she was in physical discomfort and mentally groggy. Her mind was clear enough, however, to be afraid. The woman had in her possession a variety of important papers, including birth and marriage certificates and the vaccination records for the cat, that the couple would need in starting the new life that they hoped against hope that they were speeding toward. The couple was driving to the Israeli embassy in Washington, D. C., believing that they would be given refuge there. When they got within sight of the light beige brick building, they saw its flag, made up of a crisp blue Star of David on a background of purest white, flying proud and high. That flag seemed to beckon them to safety and freedom. The man was named Jonathan Jay Pollard. Family and friends always called him “Jay.” The woman was his wife, Anne Henderson-Pollard. Both were terrified that they would soon be arrested on charges of espionage – unless they could get to the Israeli embassy in time. The gate of the embassy opened up for the car in front of the Mustang and Pollard zoomed in right behind it. He and Anne breathed a sigh of relief. They had made it! “The FBI is on to me, I need help,” Jay Pollard, 31, told an Israeli security guard. Guards left to confer with their superiors. They came back to the Pollards with surprising and distressing news. The security officers informed the American couple that they could not stay at the embassy. They must leave immediately. Terrified and flustered, Jay Pollard tried to explain. There had to be some kind of mistake. After all, those at the embassy enjoyed diplomatic immunity and could not be arrested for helping him. Surely they would aid one of their best agents. “Get out,” he was told again. “Get out!” the guard shouted. Finally the anguished Pollard turned the car around and drove it out of the embassy but that was as far as the the couple got. Cars and vans carrying FBI agents surrounded the embassy. As soon as Jay got out of his car, he was arrested on charges of spying, handcuffed, and told his Miranda rights. The contents of the green Mustang were impounded as evidence. Anne was allowed to go home with Dusty. The next day, Anne too, was arrested. Jonathan Jay Pollard was born on August 7, 1954 in Galveston, Texas. His father, Dr. Morris Pollard, was a microbiologist. His mother, Molly Pollard, was a homemaker. He was the youngest of three children. Harvey was the oldest and Carol was the middle sister. The family soon began calling their youngest son by his middle name. When Jay was very young, the family moved to South Bend, Indiana so his father could take a position at Notre Dame University. Dr. Morris Pollard would later recall that he experienced not a whiff of anti-Semitism at the Roman Catholic institution. Rather, he and his family were always made to feel welcome. Neither Galveston, Texas nor South Bend, Indiana boasted large Jewish communities but the Pollards were deeply involved with the Jewish groups in their areas. The family made a special effort to instill a powerful sense of Jewish identity in their children. The parents were devoted to the cause of Israel and impressed their love for the Jewish homeland upon their youngsters. The Pollard children learned about the Holocaust at a young age and grew up knowing that the Nazis had slaughtered some 70 of the family’s European relatives. The Pollards were affluent and lived comfortably in a ranch-style home in a little cul de sac. Jay was close to both parents, especially his mother. He was also, to some degree, “parented” by his older brother and sister. He was a precocious youngster upon whom his whole family doted. Musically talented, he learned to play the cello and became quite accomplished at it. School was a different story. He made excellent grades but outside his family, young Jay was disliked by other children. He was frequently picked on. On a daily basis, Jay was teased and taunted and often physically assaulted by his fellow students. Why? There are several possible reasons. The boy was short for his age. He also wore glasses. Children can be notoriously cruel to “shrimps” and “four-eyes.” Additionally, Jay was obviously bright and envy of a smart kid or “teacher’s pet” often sparks school-age persecution. In 1967, when Jay was 13, several Arab countries attacked Israel. The teenager was devastated. It seemed impossible that the little country could hold out against so many enemies. “They’re going to kill Israel!” he sobbed to his mother. “I’ll never get to see Israel.” Molly assured him that Israel would survive. When Jay woke up the next morning, he found out that what would become famous as the Six-Day War was over – and Israel had won. The lad was overjoyed. “Then I’ll get to see Israel!” he shouted. Thirteen was also the age for Jay’s Bar Mitzvah, the ceremony that traditionally marks a Jewish boy’s ascent to manhood. A boy gives a speech at his Bar Mitzvah and Jay took the subject of his speech from Isaiah and the message that Israel will be a leader among nations. The rabbi at their synagogue was not a Zionist and discouraged young Jay from speaking on that theme. The family changed to an Orthodox synagogue. There, Jay gave the Bar Mitzvah speech he wanted to on the subject dearest to his heart. The Pollard family visited Europe the following year, 1968. This was a pivotal experience for Jay. He went to Dachau. He saw the palpable evidence of anti-Semitism at its most extreme: the barbed wire, wooden barracks, and crematoria. He was emotionally overpowered. Like so many Jews, he came away with an extra determination that “Never again!” would such a horror befall his people. Israel, he deeply believed, was the key to making sure of that. In 1970, Jonathan Jay Pollard traveled to Israel as a member of a science camp for gifted students. Jay loved what he found and saw there. He would recall the trip as “one of the most liberating experiences I have ever had in my life.” When his parents visited him, his mother found him “in heaven.” Even there, however, others saw Jay having difficulty getting along with his fellow teenagers. Jay had long fantasized about immigrating to Israel. When he returned home, he was more determined than ever to make that dream a reality. His family did not counsel against it but urged him to wait until he had completed his education and could take some marketable skills to the Jewish state. The young Pollard was accepted into California’s prestigious Stanford University. He originally signed up for a pre-medical program, planning to follow in the footsteps of his older brother, Harvey, who had become a doctor. However, Jay found the course load daunting and soon switched to political science. He became known for his great interest in, and increasing knowledge about, military history. He adored spy novels and read hundreds of them. As a college student, he spun romantic fantasies about himself, probably patterned after some of the plots in his beloved spy stories, which he earnestly tried to convince his listeners were the truth. The stories always involved Israel. He told his friends that he held dual citizenship in the United States and Israel (he did not). Pollard variously claimed to be either a captain or a colonel in the Israeli army. He confided to a buddy that he was a secret agent for the Israeli intelligence agency, Mossad. At that time, Mossad had never heard of him. Seeming genuinely terrified, he told fellows in his dorm that some Israelis were out to kill him. He showed a revolver to other students and said he needed it to protect himself. At one point, he told other Stanford students that, while guarding a kibbutz, he had killed an Arab. In 1977, Jonathan Pollard applied for a job in the CIA. He did not get it. A polygraph test indicated that he could be a security risk and might not be free of illegal drugs. A 25-year-old Pollard was hired by Naval Intelligence in 1979 as an Intelligence Research Specialist. He worked at the Field Operational Intelligence Office in Suitland, Maryland. The Navy did not know of the CIA’s findings regarding their new employee. He would work in Naval Intelligence for a total of seven years. The job consisted largely of analyzing data and making reports on it. Jay was not altogether happy at work due, he claimed, to the tendency of some of his fellow employees to make anti-Semitic jokes or remarks. He also heard criticisms of Israel that he regarded as expressions of anti-Semitism. He would later state that workers who made such comments were not reprimanded for them and that, along with the statements themselves, made him extremely uncomfortable as well as angry. Many people regard the Navy as the least pro-Israel branch of the American service. Access to ports is obviously a major concern and that makes relations with the Arab world in general, and the Persian Gulf states in particular, especially important to the Navy. What’s more, a tragedy occurred in 1967, during the Six-Day War, that had a strongly negative effect on the feelings of many Navy personnel toward Israel. The Israelis bombed an American intelligence-gathering ship, the USS Liberty, killing 34. Israel apologized and claimed, quite plausibly, that it was an accident caused by Israeli pilots mistaking the Liberty for an Egyptian ship. Friction was exacerbated because the Israelis insisted that the U.S. vessel had been in a war zone while the Americans maintained it had been in international waters. A version of the sinking had been gossiped around the Navy that was far more sinister. It also reflected unfavorably on both the United States and Israel as allies. According to this story, President Lyndon Johnson wanted an Israeli victory but not one that was nearly so quick and decisive as the Six-Day War turned out to be. The White House wanted to cultivate friendly relations with the Arab nations because of America’s extreme reliance on oil and, to that end, the Liberty was there to gather intelligence that would be shared with the Arabs and used against Israel. Thus, the Jewish state deliberately attacked a ship of its most important ally. This account of the tragedy is highly fanciful but the fact that it was believed at all is both symptomatic of and a contributing factor to the alienation of some Navy personnel from Israel. In 1981 Jay met 21-year-old Anne Henderson, the pretty, shapely, blue-eyed, and flame-haired secretary who would become the first major love of his life. She was also Jewish but less of a devout Zionist than her future husband. However, as Wolf Blitzer writes in Territory of Lies, Anne “slowly came to share his feelings and commitment.” Henderson had frequent health problems because she suffered from a rare stomach disorder that made it hard for her to digest food. However, she pursued a career and generally active life despite occasional flare-ups of the illness. The couple was soon living together, then planning to marry. Jay suffered a crisis at work that led to his security clearance getting suspended. Relations between the intelligence communities of the United States and that of South Africa were strained and America needed information about what was going on in the South Atlantic. Pollard approached a superior, saying that he was a friend of Lt. Gen. P. W. van der Westhuizen, South Africa’s chief of military intelligence. The two men had become buddies when they were attending Fletcher. Permission was granted to Pollard to establish a “back channel” to Westhuizen. However, Navy officials began to smell something fishy when Pollard told them elaborate tales of his having lived in South Africa and his father serving as a CIA station chief in the country. They realized that Jay was spinning a tall tale and insisted he see a psychiatrist. He did. The shrink found Pollard free from mental illness and the young man’s security clearance was restored. In 1984 Jay won an assignment that he heartily welcomed. He was transferred to the Anti-Terrorist Alert Center (ATAC) of the Naval Investigative Service’s Threat Analysis Division. He would be working under Jerry Agee, a tall and balding career Navy man who had spent two decades working in intelligence. It does not seem to have occurred to those in this “intelligence” community that a compulsive braggart given to fabricating self-aggrandizing stories, a person for whom the line between fantasy and reality often blurred, was perhaps not an individual to be trusted with America’s most vital secrets. In truth, Pollard had already violated his contract against disclosing secrets – although not yet as a spy. In 1982, he removed sensitive documents to show them to social acquaintances. There is an old saying, “Scratch the adult, find the child.” The lonely, bullied boy had become a man so insecure that he compromised U.S. security in order to impress his friends. Pollard was increasingly frustrated and disgusted by things he saw at the NIS. In 1983, President Ronald Reagan had signed a “bilateral intelligence-sharing agreement” with Israel. Pollard was convinced that NIS officials were simply ignoring its directives authorizing release of important data to Israel. He later said that he should have “gone through channels” to report these alleged failures to higher ups. He did not do so. He claimed that he saw a photograph of a poison gas factory being constructed in Iraq and requested permission to transmit it to Israel. Jay said his superior laughed and said Jews were too sensitive about gas because of their experiences in World War II. In 1983, Shi’ite terrorists bombed a Marine Corps headquarter in Beirut. The U.S. retaliated with an air raid but Pollard believed it was too little, too late. America was not doing enough to protect its own in the Middle East, Pollard concluded. Thus, it could not possibly be expected to do what it should to protect Israel. Jay Pollard would have to do it instead, he decided. Pollard’s plan to spy for Israel solidified when his friend, Steven Stern, described a fascinating lecture he had recently attended. The speaker had been the distinguished Israeli Air Force Colonel Aviem Sella, mastermind of the air assault against Syrian warplanes during the 1982 war in Lebanon in which Israel shot down 90 Syrian MIGs while not losing a single plane of its own. A lean and handsome man with a high forehead and strong cheekbones, the Colonel had taken a leave of absence from the Air Force so he could study computer science at New York University. Jay listened to Stern’s description of Sella’s lecture with undisguised awe. Would it be possible for Stern to arrange a meeting between Pollard and Sella? Jay was more than willing to make a special trip to New York for such a meeting. Stern promised to try to set something up. The next time he saw Sella, he told him of his buddy, Jay Pollard, who badly wished to meet the Israeli Colonel about whom he had heard so much. Sella told Stern he had to think it over. What he really had to do was clear it with his superiors, for Sella had an inkling of what Stern’s friend might be up to. The Colonel contacted Yosef Yagur, a well-liked engineer who worked as science counselor at the Israeli Consulate in New York. Yagur also worked for a scientific intelligence-gathering unit of the Israeli Defense Ministry known as LAKAM. Yagur told Sella to wait while LAKAM researched Pollard. After the unit assembled information on the American, Yagur informed the career air force man to go ahead with the meeting but be very careful. After all, Pollard could easily be a plant of some kind, involved in a sting operation. So Sella told Stern that, yes, he would meet with this Jay Pollard. No trip to the Big Apple would be necessary on Pollard’s part. Rather, he, Sella, would travel to Washington, D. C.
Jay Pollard got a phone call. The voice on the other end was that of a stranger but it was friendly. “This is Avi Sella,” the man said. “Shalom!” an awestruck Pollard shouted as he leapt to his feet to stand at attention for the man who could not possibly see him. At least, this is the version of the initial phone contact that is given in Blitzer’s Territory of Lies. Knowing that it makes him sound comically childish, Pollard disputes that he jumped to attention at the call. The pair soon met for lunch at the coffee shop of the Washington Hilton Hotel. Sitting in a corner booth, the two men made some chit chat. The military officer was a bit put off. This was much too blunt. Was Pollard setting him up? Sella wondered uncomfortably. While saying little himself, the Israeli allowed the American to continue. As Sella listened, he became more and more convinced of Pollard’s sincerity. The pilot remained cautious. He asked Jay to produce an example of the kind of material he had in mind. Pollard eagerly assured him that he could and would. Sella reported back to Yagur who gave him a cautious go-ahead for more meetings with the prospective spy. At one of their meetings, Sella raised the issue of payment. Jay replied that he had no interest in it. He was motivated solely by his love for Israel. However, Avi insisted that Israel wanted to compensate the agent who was so productive for them. Anne and Jay were in Paris in November 1984. Contrary to Sella’s repeated instructions, Pollard had always told Anne Henderson of everything he was doing. They were an extremely close couple and Jay could not keep secrets from her. In Paris, Jay was introduced to “the old man,” who turned out to be Rafael “Rafi” Eitan, head of LAKAM. Eitan was a well-known and seasoned spy who had been involved in the Israeli abduction of the infamous Nazi Adolf Eichmann. Eitan was one of the three men who physically tackled Eichmann and hustled him into a waiting car. Eitan was respected for his extensive knowledge in the ways of espionage but was regarded as something of a social klutz. He was nicknamed “Rafi the Stinker,” a name that attached to him in the army, supposedly because he gave off a bad odor from failing to change his socks often enough. Eitan, together with Sella and Yagur, gave detailed instructions to Pollard about the classified data that they wanted him to obtain. They also discussed payments to Jay. The spy would receive a salary of $1,500 per month. Other gifts would follow, including reimbursements for Pollard’s trips and an expensive diamond and sapphire ring that ended up on Anne’s finger as her engagement ring. In the spring of 1985, James Agee caught Pollard in two outright lies. Neither was about anything of great importance to the agency. Rather, they were fibs designed to make Pollard seem like a bigshot. Agee saw nothing extremely sinister in the man’s lying but it raised a red flag as to his trustworthiness. At approximately the same time, Jay’s work for the NIS began to slide in quantity if not in quality. It can be a daunting task to fire someone who works for the government but that was the general direction in which Agee’s aims regarding this employee were heading. “Jay Pollard ordered them,” the clerk responded. However, the dissatisfaction with Pollard grew. He was an unproductive, unreliable employee. Agee and others believed the division would be better off without this boastful slacker. In September 1985, Agee told Filkens to formally warn Pollard that if he did not soon produce a long-overdue report, he would get an official notice that he was not performing his duties. That is the initial step toward firing someone. On a day shortly after that, Pollard was absent from the office from early morning until late afternoon. Agee thought the man was neglecting his work to traipse about at will. He asked Jay where he had been. “I was doing research at another intelligence library,” was Pollard’s easy and immediate reply. Agee had not had the man followed but suspected that he was lying so he decided to call him on it. “That’s not true,” he replied, bluffing in a firm voice. “Okay,” Pollard said. “You caught me.” Pollard claimed he had gone on a job interview but lied because, for obvious reasons, it is not a good practice to tell your present employer that you are putting out feelers elsewhere. Agee accepted this false story as welcome news. If Pollard quit of his own volition, it would save Agee the time and trouble involved in firing him. Privately, he wished the man luck in getting a position elsewhere. Something happened on October 1, 1985 that filled Jay Pollard with joy and pride. Israel bombed the PLO headquarters in Tunisia. Approximately 60 people, some of them civilians, died. Many people expected Yassar Arafat to be killed in the raid because his residence was located at the Tunisian headquarters. However, he escaped uninjured because he was not home at the time. Jay was proud because he had collected and passed to the Israelis information about Arafat’s headquarters and Tunisia’s air defense system, together with Libya’s air defense system (the Israelis had to fly over Libya on the way to Tunisia), that had been utilized by Israel in planning the raid. The raid was in retaliation for triple killing of unarmed Israeli civilians by a PLO group called Force 17. That incident had occurred on September 25, Yom Kippur weekend. As the month wore on, Agee grew increasingly concerned that Pollard was not going to quit. Thus, Agee needed to gather more information to justify dismissing him. He thought he was getting it when one of Pollard’s co-workers phoned to say he had spotted Jay leaving the office with what appeared to be Top Secret documents. If he was taking such materials home, he was breaking his contract and could be kicked out. Following up on the lead, Agee discovered that Pollard was regularly picking up such documents on Fridays – documents that were in no way necessary to his work. He began monitoring Pollard closely and examining items around his cubicle. Agee immediately phoned Lanny McCullah, the head of counterintelligence at the Naval Security and Investigative Command in Suitland, Maryland. He informed McCullah that a most serious problem was afoot and one that could not be discussed over the telephone. Agee drove to McCullah’s home and shared with him all that he had discovered about Jay Pollard. When discussing what country it was that could be interested in the data Pollard was gathering, both concluded it was Israel. Then Agee and McCullah met with other agents to plan how to make a case against Pollard. They all agreed it was vital to catch him off-guard. On Friday, November 15, Pollard, as was his custom, went to the computer center to pick up the package of documents he had ordered. “It’s not here,” the clerk informed him. The clerk checked again but it was nowhere to be found. “Try again on Monday,” he suggested. Despite being very upset, Pollard had no inkling that his spying had been discovered. He was looking forward to that weekend: Avi Sella would be visiting. Sella did indeed visit Washington that weekend and he, Jay Pollard, and Anne Henderson-Pollard enjoyed a night on the town. Pollard happily picked up the tab. He was doing very well financially as a result of his secret work for Israel. That Monday, a clerk from the computer center phoned Pollard to let him know that the package he had ordered the previous Wednesday had finally arrived. Enormously relieved, he immediately fetched it. Later that afternoon, he left the office and went to his car. Just as he got settled behind the wheel, a NIS agent walked up to the window. Pollard had a sinking sensation. They were onto him. Still, he tried to appear calm but perplexed. In a NIS office, a group that included both FBI and NIS agents questioned Jay. Pollard insisted that he was only taking the package to another Naval office within the complex. Yes, he knew he was not really supposed to be taking it from the office so late in the day but did not believe it was any big deal. For hours, the agents questioned Pollard who appeared to have no idea what the fuss was all about. At around 7:30 p.m., he asked if he could call his wife. He was not under arrest so the agents had no choice but to permit it. He was speaking in code. He and Anne had purchased a cactus the other day, of the green, growing, and photosynthetic variety. However, they had also agreed that “give them our cactus” would mean to get rid of the sensitive American documents at their home because he was in trouble. Some of the secret papers had been slipped into their treasured wedding album. Now very nervous himself, Sella left the table to phone Yagur. The latter gave him bad news. LAKAM had not made any escape plans for those involved in this operation. Sella was baffled. Yagur told him to just get himself out of there as soon as possible. As soon as Sella returned to his hotel room, he told his wife they were taking the first possible plane out of the country. The panicky couple took an all-night taxi ride from Washington, D.C. to New York City. There they caught the first available flight to London. While the Sellas were decamping in Britain, a pale and nauseous Jay Pollard was submitting to more questioning from NIS and FBI agents. This time he admitted that he had been taking secret documents – hundreds of secret documents – out of the building. He confessed that he had even been selling them but not to a foreign power or anyone he knew to be a representative of another country. Pollard was doing his damndest to follow the guidance of his handlers that he must never, ever mention Israel. He sold the papers to a friend of his, Pollard claimed. What did the friend need them for? Pollard said he was not sure. “Maybe he was using them to help the freedom fighters in Afghanistan,” he suggested. In the meantime Yagur and others were having a conference with Eitan concerning the fate of the Pollards. “We’ve got to save them,” Yagur said. Eitan did not think so. He told Yagur and the others that they should get their own hides out of the United States as soon as possible. The upshot of their meeting was that Jonathan Jay Pollard would be left as the fall guy. Jay and Anne, of course, were not aware of this decision. Jay was convinced that the Israelis would rescue him. Thus, he and Anne bundled into their green Mustang and headed for the Israeli embassy – and were turned away. 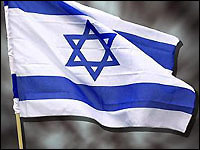 Israel is so closely allied to the United States that some people have called the Jewish nation America’s 51st state. The U.S. has strongly supported Israel in the wars it has fought throughout its brief and violent history. Moreover, America shares a great deal of the vital intelligence it gathers with Israel and vice versa. Indeed, the vast majority of American intelligence information that Israel would be interested in is voluntarily given over to it. Why would the United States withhold intelligence from Israel? The interests of one country never perfectly coincide with another, no matter how close the two nations might be. As Wolf Blitzer writes in Territory of Lies, America does not share with Israel (or Israel with the U.S.) “information that it [feels] could compromise what the intelligence professionals call ‘sources and methods’ – namely, how that information was collected.” For example, CIA sources are kept secret from Israel because the American intelligence-gathering organization believes that those sources would dry up if the Israelis were told about them. American information concerning those Arab states with which it is friendly, such as Egypt, Saudi Arabia, and Jordan, are also not revealed to Israel. Intelligence is shared, even with allies, on a basis of exchange. If one country has a “mole” in the other, the latter’s ability to receive intelligence from the former is greatly weakened. The United States has been known to snoop on Israel. America took satellite reconnaissance photographs of Israeli military installations – which Pollard illegally shared with Israel, helping them to develop better “masking” techniques. The Israelis have been convinced that there were American moles in their country and there has been some evidence to support their suspicion. Republican Senator David Durenberger of Minnesota charged that the CIA had an Israeli spy who started working for the US before Israel accepted the services of Jay Pollard. Immediately after the Pollard scandal broke, the late Yitzhak Rabin, who was then Israel’s Defense Minister, said that Israel had found no less than five American spies working inside during the late 1970s and early 1980s. The spies were expelled from Israel, rather than prosecuted and imprisoned, to prevent too much conflict between the country and its American ally. Another looming question is why did Israel fail to rescue their agent? The reason has never been made public. Some have speculated that Israel knew it was in for a big public relations disaster and decided that giving the Pollards refuge would only aggravate it. It has also been said that turning them away was the result of a simple mix-up. Elliot Goldenberg in The Hunting Horse quotes an unnamed source as saying that Pollard would have been taken into the embassy and flown to Israel if Israel’s ambassador to the United States, Meir Rosenne, had been present. Unfortunately for the spy, Rosenne was in Paris. Elyakim Rubinstein was in charge that day and he had not been briefed about plans to aid Pollard. 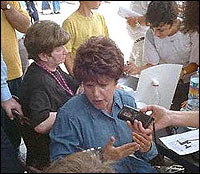 After the incident, Rubinstein became Israel’s attorney general. He has also become a vocal supporter of clemency for Pollard. When Pollard was arrested, the Israeli government immediately denied that he was their agent. Prime Minister Shimon Peres and Foreign Minister Yitzhak Shamir both claimed complete ignorance of Israel’s mole in America. A committee was formed to ferret out the truth of the matter. But Blitzer is probably correct that this was not so much the investigating body it was officially supposed to be as a “damage control” mechanism. Predictably, it concluded that Pollard’s spying was a “rogue operation” unbeknownst to the highest authorities in Israel. During his time in jail awaiting trial, Pollard was hopeful that Israel would intercede on his behalf. Instead, Israel cooperated with the U.S. government in its efforts to nail him. They agreed to turn over all the documents that Pollard had given them. When it became obvious that the Israelis were not going to get Pollard out of his predicament, he decided to spill the details of the operations in which he had been involved to U.S. authorities. However, he always insisted that he was not committing espionage against America but for its ally Israel. Joseph DiGenova, a volatile and ambitious man with bushy eyebrows and an intense stare, headed the government’s prosecutorial team. Richard Hibey, a respected attorney, defended Jonathan Pollard. Later, both Jonathan Pollard and his father would express grave doubts about whether or not the lawyer truly had his client’s best interests at heart. Pollard’s attorneys cut a deal with the prosecution. Their client would plead guilty if the prosecutors would not ask for the maximum sentence. The deal was accepted. The spy pled guilty. Jay Pollard sat in the courtroom, visibly trembling, as he made the plea. “Do you know of any reason why I shouldn’t accept your plea?” Judge Aubrey Robinson asked. “No, sir, I don’t,” Pollard replied in a sickly-sounding voice. The judge tried to impress the gravity of the situation upon the spy and make certain he knew that the deal carried no guarantee. “You realize I could still impose life imprisonment?” Robinson continued. The sentencing took place nine months later. It was March 4, 1987. The courtroom was packed. Among those sitting toward the back were Jay’s sister, Carol, and Anne’s father, Bernard Henderson. Dr. Morris Pollard and Mollie Pollard were too upset to come into the courtroom, so they waited for the news in the office of their son’s attorney. Jay Pollard spoke to the court on his own behalf. Like his wife, he had lost a great deal of weight during his confinement. However, he did not look as sickly as she did. “Over the past 15 months which I have been held in isolation,” he said, “I have had more than enough time to reflect both upon my motives and upon the impact of my actions on behalf of the government of Israel. He spoke about wishing that he had used legal means to seek remedy when he saw Naval Intelligence withholding information from Israel that he believed they should have shared and said he should have resigned when he found his conscience in such deep conflict with the organization he served. He expressed regret for accepting money for spying while emphasizing that personal gain was never his motive. Finally, he spoke most movingly and poignantly of the harm he had caused Anne Henderson-Pollard. “I violated another trust,” he told the court, “and that was the trust of my wife. Usually when a man and woman decide to get married, it is with the assumption that each will safeguard the interests of the other . . . I sacrificed her . . . on the altar . . . of political ideology. There is nothing virtuous in that. . . .
Anne Henderson-Pollard also spoke for herself. Wearing a gray suit and black blouse, clutching her hands over her belly, she was frail and wan. Her voice was terribly weak and many in the courtroom had trouble making out her words. “I pray to God every single day that I will be reunited with my husband,” Henderson-Pollard said. “That is all I live for. . . . He is the most wonderful man I have ever laid eyes on or met in my entire life. “I know that he undertook his actions because he believed that at the time he was doing good for both the United States and Israel . . . My husband and I are vehemently anti-Communist and we would never do anything to harm this country . . . We are dedicated and patriotic Americans and we are also loyal to Israel. . . .
“I love Jay very, very much and when he called to me in his eleventh hour, I responded because I felt that was what a wife should do. I felt that I was, while assisting my husband, not causing any harm to the United States at all. I did not compromise information . . . . I have never committed espionage in my life, nor would I ever.” When Anne sat down, she was weeping. She turned to her husband for comfort. Assistant U.S. Attorney Charles Leeper summed up for the government. “As I was growing up,” he declared in a powerful voice, “I was taught that there are, in fact, two sins that are unforgivable, and they are arrogance and deception. . . . it is arrogance and deception which drove this defendant to commit the acts, the criminal acts in this case, and they are also those two character traits, arrogance and deception, typical of the way he has sought to defend and excuse the things that he has done. On the day of sentencing, Judge Aubrey Robinson said: “I think I should state for the record that during my entire tenure in this court, I have never had more voluminous submissions in connection with the sentencing of a defendant than I have had in this case. . . .
People gasped at the harsh sentence. Anne Henderson-Pollard let out screams of grief. “No! No! No!” she cried even as she collapsed in a heap on the floor. Two female bailiffs helped the distraught woman to her feet. She was sobbing as she stood on rubbery legs. “I am required by law to impose a $50 assessment,” Judge Aubrey continued. “There will be no fine. Many, perhaps most, observers were shocked that Jonathan Jay Pollard received a life sentence. After all, the government had not even asked for one. Following the plea agreement, they only requested a “substantial” term. No one else convicted of spying for an ally has gotten more than 14 years in prison. Of course, it is also true that Pollard stole an extraordinary amount of classified material but the sentence still appeared wildly disproportionate to the offense in the minds of many people. Several reasons have been suggested for Judge Aubrey Robinson’s unexpectedly severe judgement. Among them are writings by Casper Weinberger that the jurist read prior to passing sentence and an inadequate defense by Richard Hibey. Weinberger was secretary of defense at the time of the Pollard sentencing. He wrote a 46-page memorandum about the harm caused by the defendant. He also wrote a letter delivered by courier to the judge just the day before sentencing. The memorandum was later released to the public with many sections blacked out for reasons of national security. The letter has never been made public. Exactly why the memorandum was submitted is in dispute. Observers first assumed that it was written and given to the judge at the request of the prosecutor, Joseph DiGenova. Later, DiGenova claimed it had been written at the invitation of the judge himself. Weinberger’s memorandum wrote of Pollard’s actions in the most damning terms. Among many other things, it said, “It is difficult for me . . . to conceive of a greater harm to national security than that caused by the defendant in view of the breadth, the critical importance to the United States and the high sensitivity of the information he sold to Israel . . . I respectfully submit that any U.S. citizen, and in particular a trusted government official, who sells U.S. secrets to any foreign nation should not be punished merely as a common criminal. Rather the punishment imposed should reflect the perfidy of the individual actions, the magnitude of the treason committed, and the needs of national security.” The word “any” is underlined in the original, reflecting Weinberger’s belief that Pollard should not be given leniency because he spied for a friend. However, there is an important point overlooked by Weinberger, Hersh, and the many others who call Pollard a “traitor.” In the United States constitution, treason is defined as “levying war against them (the United States), or in adhering to their Enemies, giving them Aid and Comfort.” Pollard never acted on behalf of an enemy of the United States. The Jonathan Jay Pollard case remains a political hot potato. The question of anti-Semitism hovers over it. Is Pollard being treated more severely than another spy would because he is Jewish? Some well-informed observers believe so. Jewish Americans were deeply affected by the Pollard case because it revived the old suspicion of their supposed “dual loyalties.” Indeed, anti-Semites, as could be expected, pounced on the case to make scurrilous accusations against Jews as a group. Some close to Jay Pollard think that his reasons for filing for divorce were benign. Believing his chances for freedom were slim, he wanted Anne to get on with her life. In 1988, Israel finally acknowledged publicly that Pollard had indeed been their agent. They also granted him citizenship. Top Israeli officials have visited Jonathan in prison. Many Israeli politicians and Jewish groups, both in Israel and in the U.S., clamor for his release. Many non-Jews who believe his sentence was unwarranted join them. However, the American intelligence community has strongly opposed clemency. The data he gave to a foreign power was very sensitive, they say, and the United States must discourage others who may be tempted to follow in Pollard’s footsteps. Indeed, one of the reasons he may have been given such a severe sentence by Judge Robinson is the feeling that, since so many Americans are also committed Zionists, it is especially important to deter the millions of its citizens who love Israel from spying on its behalf. Prison life is always rough. However, as Richard Hibey said in arguing for leniency, “There is hard time and there is hard time.” Time for Jonathan Jay Pollard has been among the hardest possible. He is in prison as someone commonly called a “traitor.” He is a Jew in a prison system in which there are few Jews and many anti-Semites. In an interview with Wolf Blitzer that took place while Pollard was awaiting trial and still in jail, Jay told the writer that he lived in constant fear since both the Aryan Brotherhood and Black Muslims – two groups usually at each others’ throats – have vowed to kill him. Immediately after his sentencing, Pollard was transferred to the federal prison hospital in Springfield, Missouri. Here Pollard was among inmates who were severely mentally ill. He claimed to have witnessed so many prisoners cutting their own throats that “I actually have developed the ability to distinguish between the ones who are serious about killing themselves and those who are merely bent on a little self-mutilation.” He spent a little over a year at the Springfield prison hospital. Then he was taken to the prison at Marion, Illinois. Marion is considered the ultimate in maximum security and houses the infamous Mafioso John Gotti. At Marion, solitary is the rule and each prisoner must spend at least 23 of every 24 hours locked in his cell. Pollard got himself a new legal team. Theodore B. Olson, a handsome man with blonde hair was the head of it. Olson had been the personal attorney for President Ronald Reagan during part of the Iran-Contra affair. He would later become Solicitor General under President George W. Bush. Olson and his associates argued before the United States Court of Appeals that their client was entitled to a new trial. This court consisted of three jurists: Stephen F. Williams, Laurence Silberman, and Ruth Bader Ginsburg. Ginsburg, of course, would later become a household name when she was appointed to the U.S. Supreme Court. The reasons Pollard was entitled to a new trial, Olson claimed, were several. The government had secured his cooperation by promising leniency for both Pollard and his wife. However, the prosecution had, in effect, gone back on their part of the bargain by delivering such a damning summation. It failed to properly note Pollard’s cooperation. Finally, the Weinberger memorandum and letter had unfairly influenced the judge into taking an unreasonably tough stand against the defendant. The court turned down the appeal, voting 2 to 1 against Pollard. While serving his sentence, Pollard began corresponding with Esther Zeitz, a strong supporter of his. Zeitz was Canadian and an Orthodox Jew. Eventually, the two of them fell in love through their letters. Although lacking a formal marriage, they came to regard themselves as husband and wife and Zeitz began calling herself Esther Zeitz-Pollard. Supporters of Jay Pollard believed he stood a good chance of securing his freedom when a lame-duck President Bill Clinton began looking into last minute pardons. Their hopes were dashed for, although Clinton pardoned more than 140 people during his last days as president, Pollard was not among them. The pardoned included Whitewater figure Susan McDougal, Clinton’s half-brother Roger Clinton, and, most famously, financier Marc Rich who had fled the country to avoid facing an array of charges including many counts of tax evasion and racketeering. Many years have gone by since Jay Pollard was a free man. He is now housed at the federal penitentiary in Butner, North Carolina. His receding hairline has become a bald dome. The remaining black hairs have so mixed with white as to make his hair look a dull, dusty brown. He wears it in a longish fashion that, together with beard and mustache, gives him the look of an old-time hippie. Whether awake or asleep, he spends much of each day dreaming, as he has for so much of his life, of living in his dear Israel. Blitzer, Wolf, Territory of Lies, Harper Paperbacks, New York, NY, 1989. Goldenberg, Elliot, The Hunting Horse, Prometheus Books, Amherst, NY, 2000. Henderson, Bernard, Pollard: The Spy’s Story, Alpha Books, New York, NY, 1988. Melman, Yossi, and Raviv, Dan, Every Spy a Prince, Houghton Mifflin Company, Boston Massachusetts, 1990. Shaw, Mark, Miscarriage of Justice, Paragon House, St. Paul, MN, 2001. Tashian, Carl, Research Paper #1: Jonathan Pollard Spy Case on the internet. “Spy Scandal Sizzles in Israel,” U. S. News & World Report, Dec. 9, 1985. “Widening Spy Scandals,” U. S. News & World Report, Dec. 9, 1985. “Why Israel spied on U.S.,” U.S. News & World Report, June 23, 1986. Denise Noe lives in Southeastern United States and writes regularly for The Caribbean Express. She is featured in Here and Now: Current Readings for Writers and Strategies for College Writing and has been published in The Humanist, Georgia Journal, The Lizzie Borden Quarterly, Exquisite Corpse, The Gulf War Anthology, Light, Gauntlet, and other places. Her chief interests are dinosaurs, the ape language experiments, and social welfare issues -- not necessarily in that order.